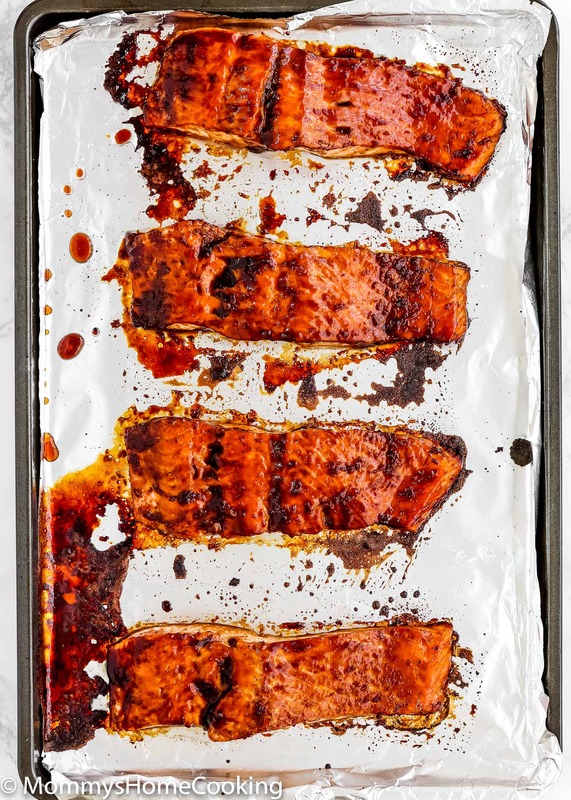 This Easy Teriyaki Salmon is tender, flaky, and packed with amazing flavor. Ready in less than 30 minutes and requires only a few ingredients. 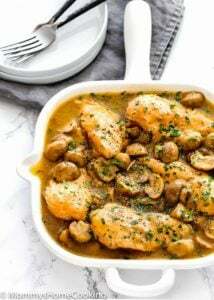 Perfect weeknight meal but fancy enough for special occasions too. I love to cook salmon for dinner because it’s easy to make and super flavorful. 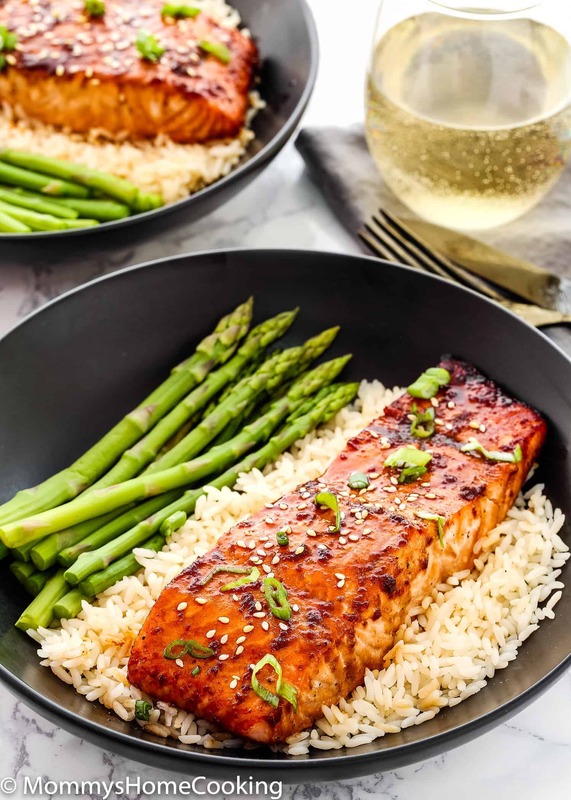 In my opinion, salmon makes for a perfect weeknight meal for when you want something quick but still delicious. And when it’s dressed in the most amazing teriyaki sauce you will end up with an out of this world delicious dinner! 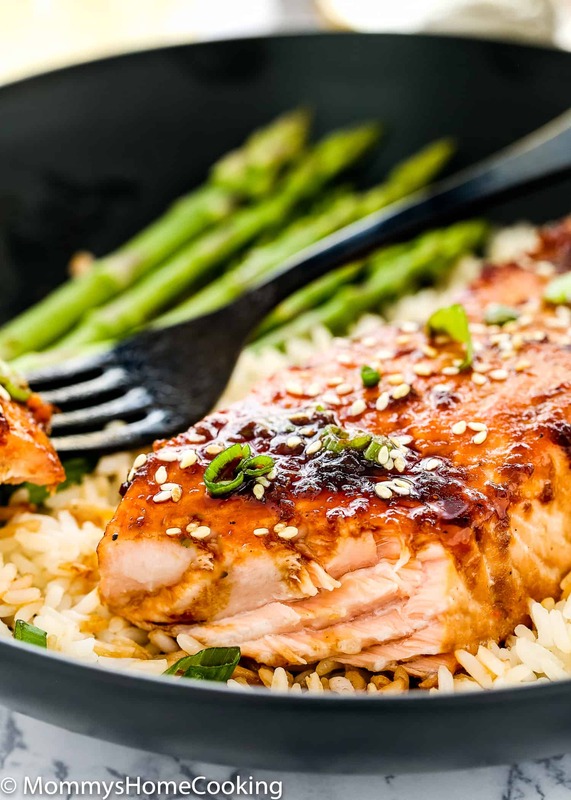 This Easy Teriyaki Salmon is savory, sweet and full of flavor in every bite. Such an easy and wonderful meal to come home to after a busy day. 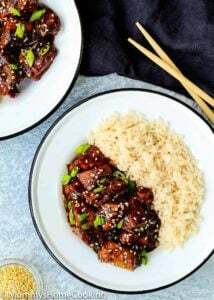 Our family, including my picky eaters, just couldn’t seem to get enough of this delicious Teriyaki Salmon! 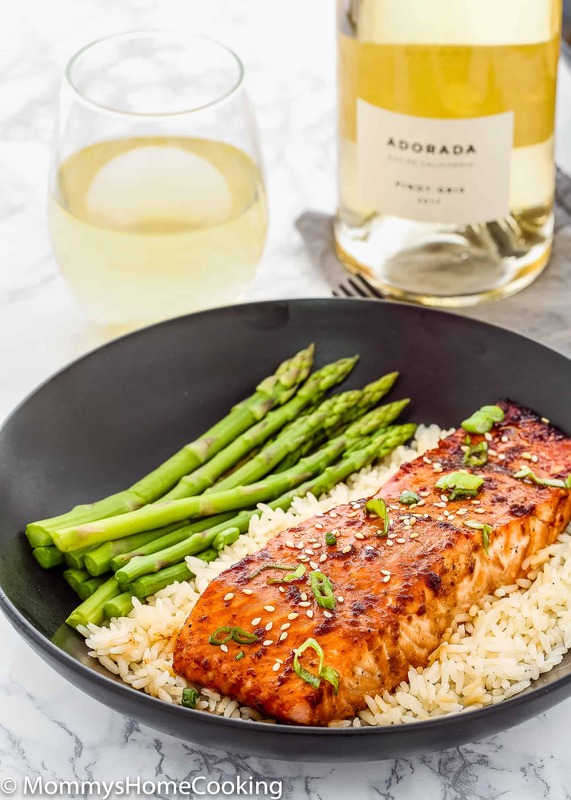 To pair a five-star meal like this all we needed was a glass of wine, so we decided to open a bottle of Adorada Pinot Gris, which was a perfect match. This wine is amazing! It was subtly sweet and refreshing. 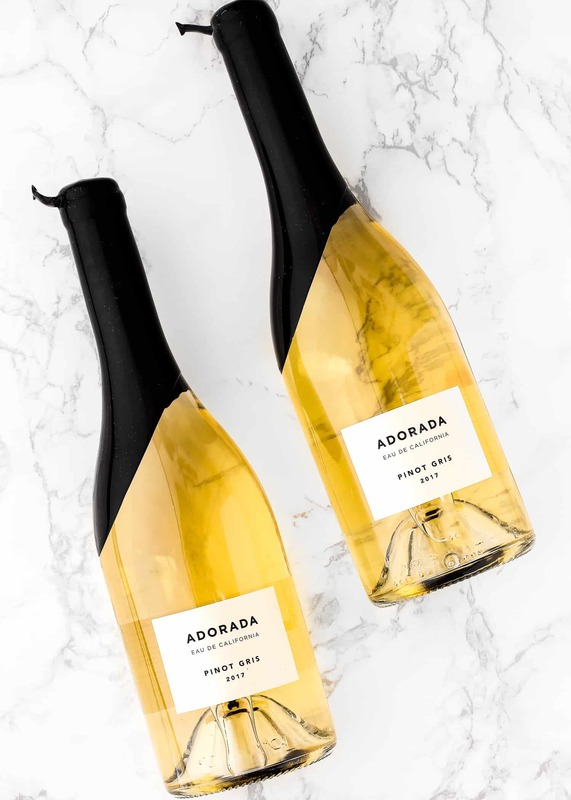 You may be wondering so I think it’s important to mention that Pinot Gris and Pinot Grigio are made with the same grape variety, but they are different styles of wines. Pinot Gris is full-bodied, rich, spicy, in contrast to the Pinot Grigio which is lighter-bodied. These artisan wine are crafted from the harvesting of aromatic varietals to the individually hand-sealed bottle. Their signature black wax and finished with a pristine pearl-white label is just gorgeous. All it starts marinating the salmon for 15-20 minutes. Then baked until flaky perfection. You’ll know when the salmon is done when easily flaked: check the doneness of your salmon with a fork. When the salmon flakes easily with a fork, it’s ready. 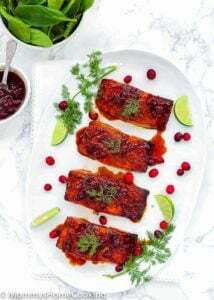 Can I make this recipe with another kind of fish? Yes, you can! Just make sure to adjust cooking time accordingly. 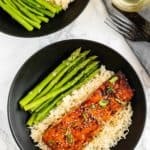 Can I make this Teriyaki Salmon recipe Whole30 complaint? Yes, you can! 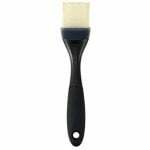 Substitute soy sauce for coconut animos, canola oil for avocado oil and brown sugar for 1 tablespoon of date paste. 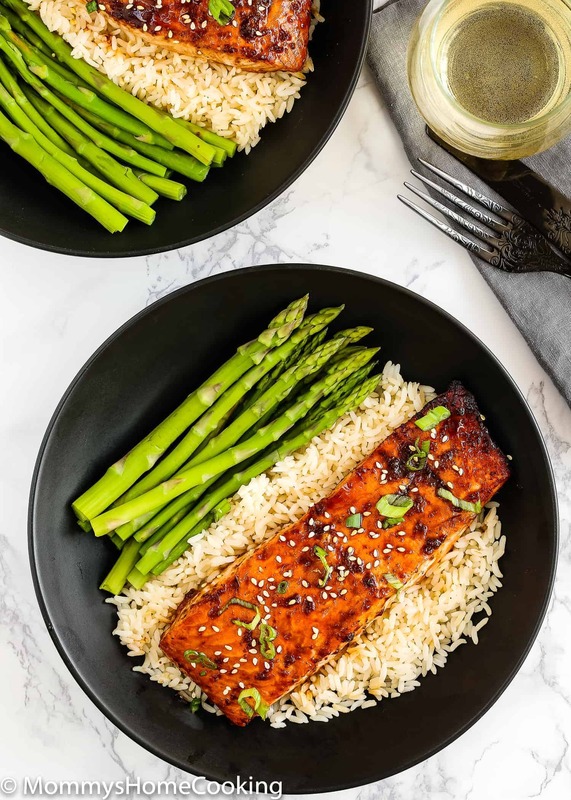 Serve this Easy Teriyaki Salmon over some plain white rice with a side of steamed vegetables like asparagus or broccoli. This is going to be a recipe that you make again and again! 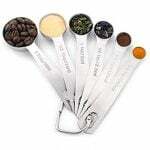 Combine all the sauce ingredients in a medium bowl and stir until brown sugar is dissolved. 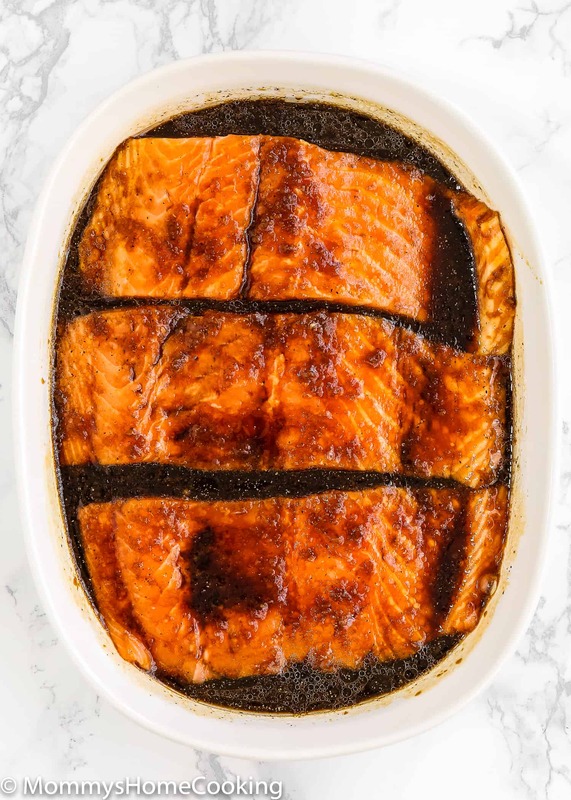 Place salmon fillets in a deep baking dish, or a big bowl. Pour the sauce over the salmon, cover with plastic wrap and let marinate in the refrigerator for 15 - 20 minutes. 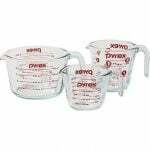 Preheat oven to 400˚F. 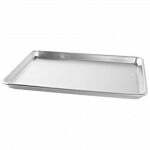 Line a big baking sheet with foil for easy clean up later. Transfer salmon fillets to the prepared baking sheet. 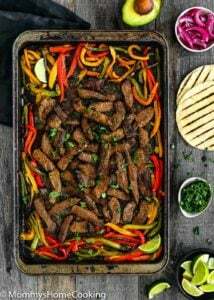 Reserve the marinade. Bake for 12-15 min or until salmon is flaky and cooked through. Bake times may vary depending on the thickness of salmon. You'll know when the salmon is done when easily flaked: check the doneness of your salmon with a fork. When the salmon flakes easily with a fork, it's ready. 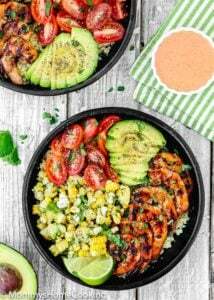 While salmon is baking, place the remaining marinade to a small saucepan and bring to a boil then reduce heat to low and simmer, stirring occasionally, until slightly thickened, about 4-5 minutes. NOTE: If you want to thick the sauce even more mix 1 teaspoon of water + 1 teaspoon of cornstarch and add it to the sauce. Remove from heat and reserve to serve with the salmon. When the salmon is done, remove from oven and brush each fillet with more sauce. Sprinkle with green onions and sesame seed, if desired. Serve with rice and steam veggies. You'll know when the salmon is done when easily flaked: check the doneness of your salmon with a fork. When the salmon flakes easily with a fork, it's ready.